I order a lot of things through the mail, even before this whole online shopping thing. I used to mail away for stuff and allow them 6-8 weeks for delivery. Sometimes I will order something and do not remember what I ordered. 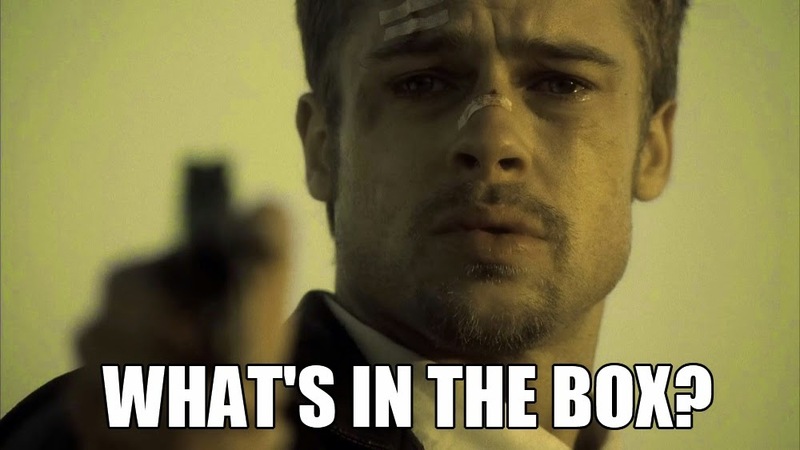 Yesterday I got a suspicious package. 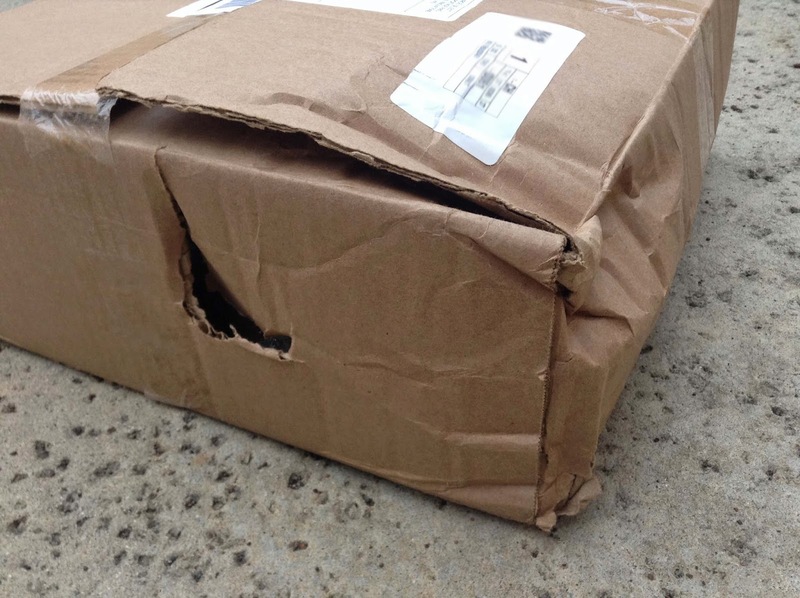 The box was damaged, corners were bent, flaps not secured, sides crushed, and hole on side. The box measures 14 x 14 x 5 inches (it says it on the bottom) and weighs 4 pounds, 4 ounces (yeah, I weighed it). I did not recognize the address nor sender so I went through my emails to see what it was it could possibly be. I checked the usually online accounts, nothing was pending. Little more one that later. I checked the tracking number to see where and when the package was shipped. Hopefully, giving me a clue of what I may have ordered. Originating from Georgia and took ten days via USPS to get to me. Again, I cross referenced the date and location to try to get more information on the package. 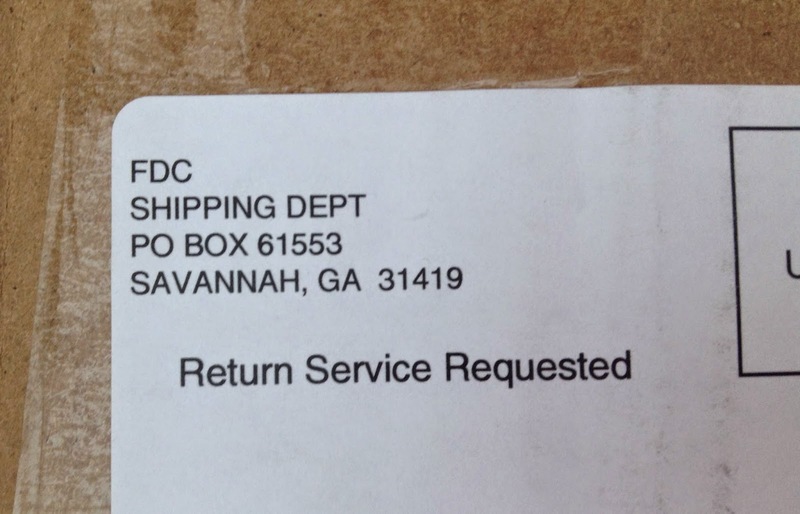 The package came from a PO Box 61553 in Savannah, Georgia and from sender known as FDC. Who in the blue hell, are you? I did a quick search on Google, and it seems that FDC is a fulfillment center. This could mean that something was ordered and it just went through this place in Savannah to get to me. Again, I checked my accounts and nothing is pending. One thing that concerned me, if you look at the Google link, you will see there some links relating to scams. The complaints center around a free trial of dietary supplements...which I never ordered. Nor did I give out any payment information to any health related institute. This company offered a free trial dietary supplement with no obligation. They asked for a CC# to pay for shipping only. We did not like the product and had no intention of reordering. Over the next 3 months, they sent us 3 shipments of product, billing our CC for $500. A confirmation email was never sent. the first 2 shipments contained paperwork with a disconnected phone number. 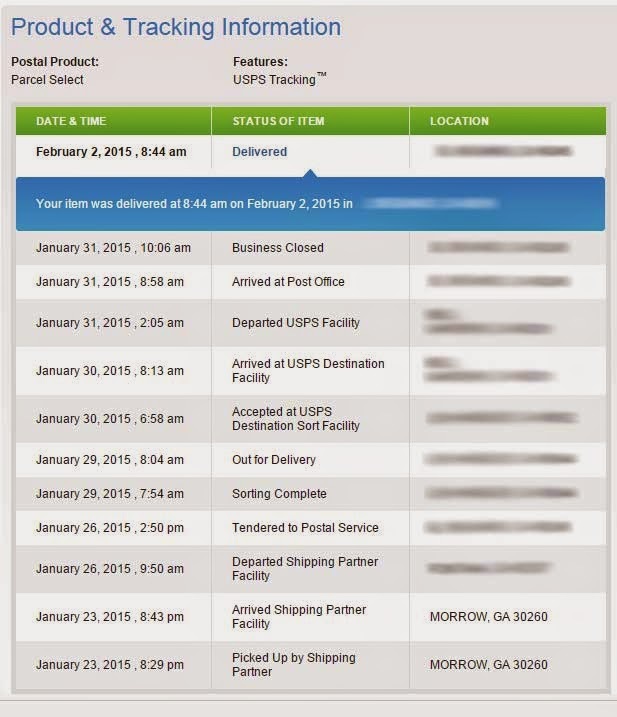 The 3rd shipment contained 2 phone numbers, one of which was valid, allowing us to cancel. They claim we agreed to be automatically enrolled and refuse to refund our money. Since I never ordered any dietary supplements, it was odd that this packaged showed up. How did they get my shipping information? Do they have my payment information? Are they telling me I need to lose weight? No only did I check my online shopping accounts, I immediately checked my payment accounts to see if it was hit. Luckily, nothing...yet. Again, why was this sent to me? Normally, you get charged before it ships. There is a chance that something was ordered way back and the merchant just used this fulfillment center to ship my stuff, having nothing to do with heath products. I did some more digging and searched for received package I did not order. Results were good, in my favour. According to the government, I do not have to send it back, it is mine. Also, since I never ordered the item(s), they are not supposed to charge me for it. What do you do when you receive merchandise that you didn’t order? According to the Federal Trade Commission, you don’t have to pay for it. 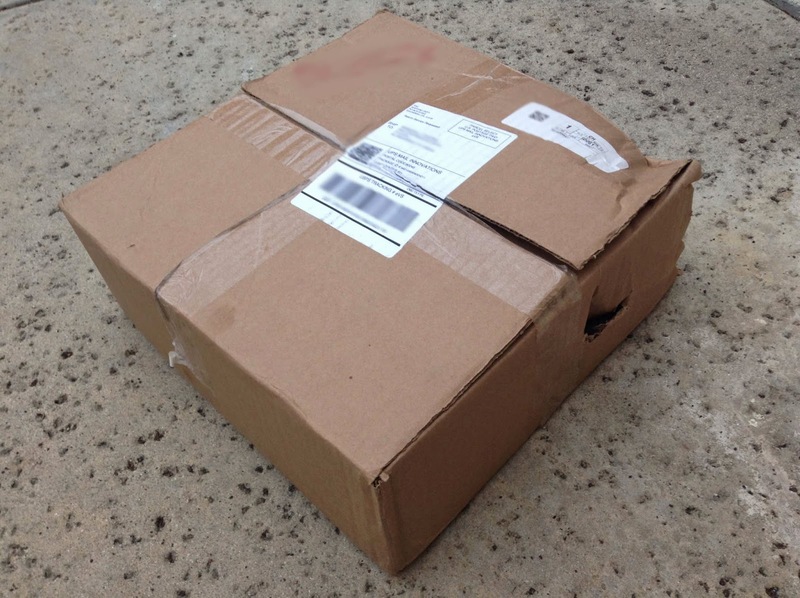 Federal laws prohibit mailing unordered merchandise to consumers and then demanding payment. Furthermore, it is illegal for a company that sends you unordered merchandise to follow the mailing with a bill or dunning communication. Update: Well, this is embarrassing...but good. No scam, no fraud. I finally open the box and realized what it was. Guess what, it was something I ordered...back in June. I guess I should have checked my records back to eight months ago. It was a Kickstarter campaign for Reading Rainbow. All that worrying for nothing, and I got some cool stuff. Thank you for your experience. My experience with receiving a package from this address was not as good. I did not order what they sent. It was a "click-bait" scam. I had to cancel my credit card number and file a fraud complaint. Glad it worked out for you. Hope this is the END for me from this scam company. This company is a total scam and fraudulent company. I ordered a $4.99 trial with 30 days to cancel and I did. But the managed to steal and yes I said steal almost $600.00 from my account. They kept sending me products after I cancelled and I sent them back with zero refund. I called them and they deny it and my bank Chase is not doing anything to help me recover. Also after I pplaced that oder my card was billed in total 1600 for products I did not receive I was sent 6 packages and billed for 22. I spoke to them afte I had to go above and beyond to find their phone numbers and they lied to me saying I had no account there it was cancelled and hung up on me!! I had to cancel my credit card, get a new cc number and filed a fraud complaint with my cc company. Pain in my eye, but I didn't get any more packages or charges. Call the George Attorney General. These people are pigs.